The arrest of Huawei’s chief financial officer, Meng Wanzhou, by Canadian authorities in Vancouver, on December 12 excited quite a furor in China. 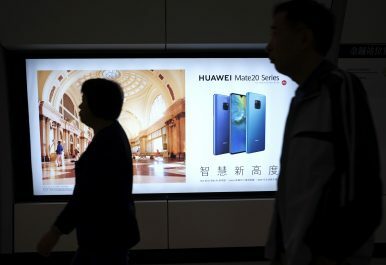 The United States, under an extradition treaty with Canada, ordered the arrest on the charge that Huawei, under Meng, had circumvented sanctions on Iran using a shell company in Hong Kong. The row is unfolding in the context of an acrimonious trade dispute between China and the United States, and intensifying strategic competition between the two. Nevertheless, Canada is likely to be the largest loser in this particular episode. Canada is already bearing much of the brunt of China’s displeasure arising from this affair. Three Canadian nationals have been detained in China, two under vague charges of “threatening national security,” in what appears to be retaliation for Meng’s arrest. Canada’s woes are likely to persist and could even worsen. Two factors, in combination, will be responsible for Canada’s protracted agony. First is the necessity China places on transmitting costly signals in protest of Meng’s arrest in order to convey the place of pride Huawei occupies in China. Huawei is the face of China’s technological ambitions and its success as a globally renowned manufacturer of advanced technology is a source of national pride. As such, the company’s well-being and status is of paramount importance to China’s leadership, and Meng’s arrest is an issue of great political salience. It is no surprise, therefore, that China is engaging in what international relations scholars would call “costly signalling,” in order to broadcast its ire. According to a widely cited paper published by the University of Chicago, state leaders signal the immutability of particular foreign policy interests by “creating audience costs that they will suffer ex post if they do not follow through on their threat or commitment.” China’s repeated threats of revenge are an apt illustration of this phenomenon. In this particular case, China has committed to incurring the costs of a worsened bilateral relationship with Canada across numerous domains, in the scenario that Meng’s extradition to the United States receives the sanction of Canada’s judiciary. With China’s hands thus tied, one should expect severe punishment reserved for Canada, should the extradition go through. This raises the question of why Canada — not the United States — is the main target and brings us to the second factor: the prevailing tensions between the United States and China. China’s ability to retaliate against the United States is likely reined in by its desire to reach a resolution to the ongoing trade dispute between the two. It has become increasingly apparent that China’s economy is at a tenuous juncture in its development and that shocks potentially threaten the achievement of key goals. Reaching a deal with the United States would be lucrative for short- and medium-run economic growth, and the Chinese are, therefore, understandably jittery about rocking the boat. This factor is responsible for the singularity with which Canada is being targeted. Absent that contingency, Canada would likely not have been the primary target of China’s costly signalling. It can hardly be lost on the Chinese that Canada, a rule of law country, is simply carrying out contractual obligations with respect to its extradition treaty with the United States. Another factor which enables China’s ferocity towards Canada in this case, though not particularly endogenous to the Huawei episode, is the asymmetric nature of the bilateral relationship and the resultant absence of structural restraints to blatant power politics. As of 2017, China’s share in Canada’s total imports stood at 12.6 percent, whereas Canada’s share in China’s imports was a meager 1.1 percent. Combined with the fact that China’s economy is 7.4 times the size of Canada’s, the asymmetry in terms of economic importance is even more pronounced. At the level of trade composition, China is not particularly reliant on Canada for a specific import; only in the case of China’s rapeseed oil imports is Canada the largest supplier and this is a crop China produces in abundance at home. Moreover, Chinese outward investments to Canada in the 2016-17 period were only 2 percent of the total. Although China’s investments in Canadian oil extraction facilities are touted as an important element of the relation, Canada, in 2017, only ranked 40th as a source of crude oil for China. Under the prevailing conditions, Canada can only hope that the international community will join it in declaring an unwavering commitment to the rule of law and tie China’s conduct in this instance to its reputation in the long-run, thus urging restraint. Such support, however, has been conspicuously absent, and Canada should prepare itself for the impending punishment. China says U.S. envoys are expected in Beijing on Monday for talks on the trade fight.